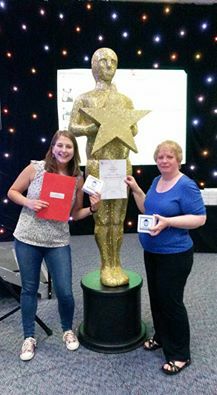 Katie Lucking and Liz Moody, Co-Chairs of the Disabled Staff Network at UWE Bristol, won a UWE Staff Award today “for leading culture change for an inclusive working environment for disabled staff and all” and “for their hard work in spreading awareness”. The theme of the award was Inclusivity. Katie has arranged many internal events on mental health, dyslexia, heart conditions and the Access to Work scheme. The membership of the Network has increased from four to 80 members of staff within the last 14 months!